for its construction include 40 million bricks, together with half a million precious stones and 40 kg of 22-23 carat gold. 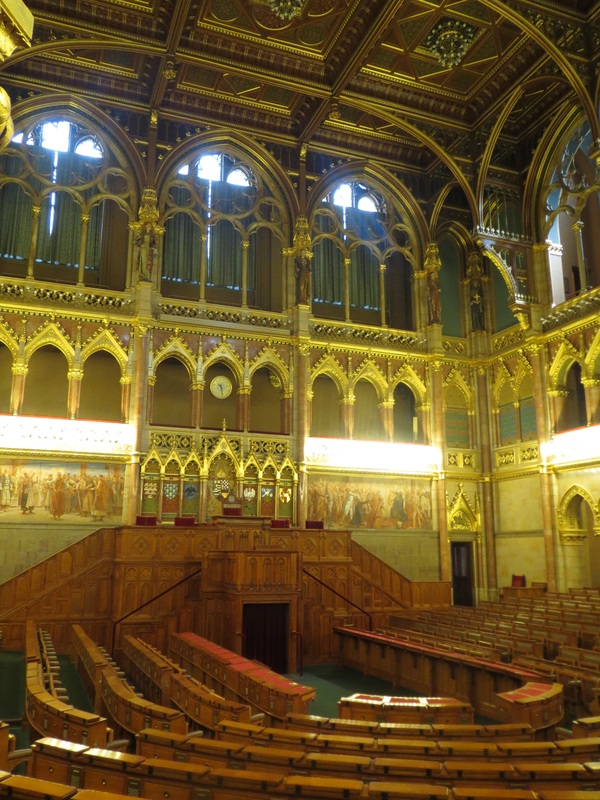 It has survived 2 World Wars, the Communist regime post WW2 and still houses the unicameral National Assembly. inside and out but particularly when lit up at night. 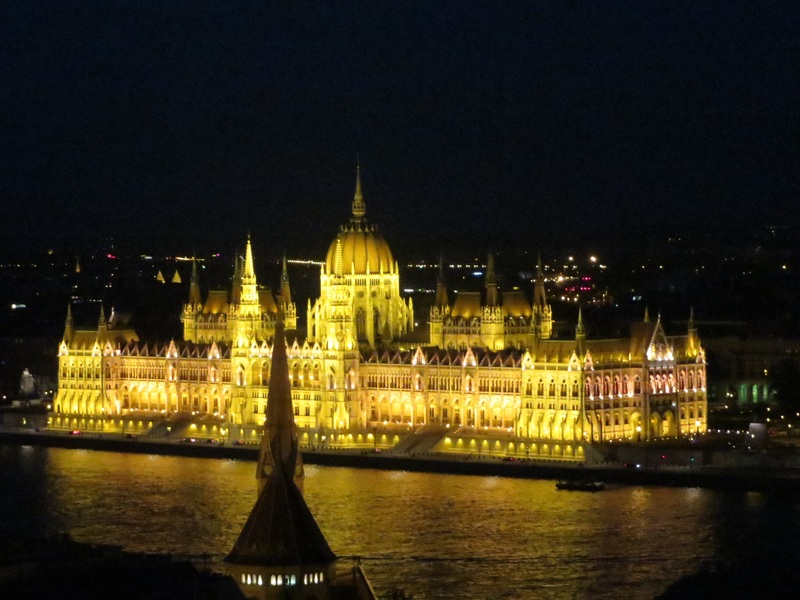 Budapest was formed in 1875 when the towns of Buda, Obuda and Pest were combined. The first step in this process was the construction of the famous Chain Bridge linking Buda and Obuda with Pest. It was Count Istvan Szechenyi, a Hungarian nobleman and Minister for Transport and Public Works, who lobbied for the construction of the bridge and other improvements to regulation of the Duna river to improve transportation. The Count was influenced by British engineering and the bridge was designed by an Englishman and built by a Scottish engineer, called Adam Clark and there is still a bus stop on the Buda side of the bridge named after him. 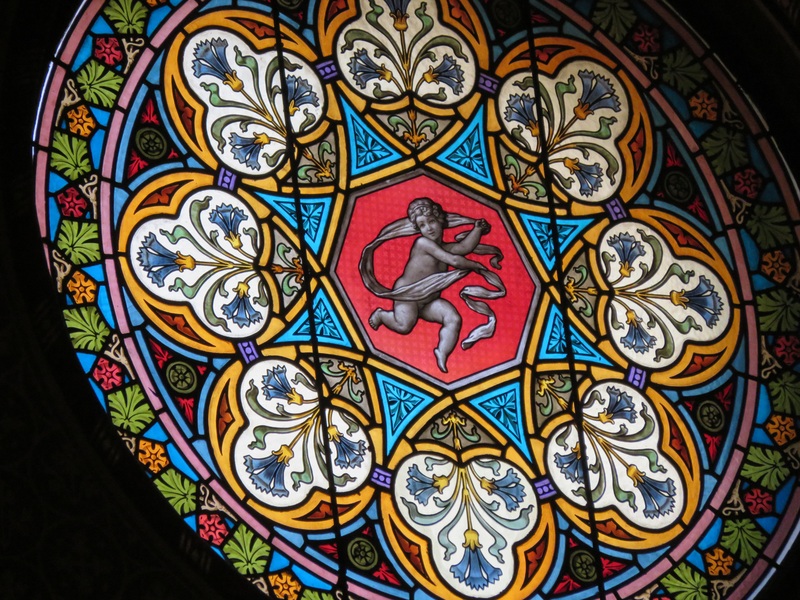 It was finally opened in 1849. The bridge links the Orszaghaz in Pest with Varhegy or Castle Hill in Buda. The hill was settled in 13th century by King Bela in the wake of invasions by Genghis Khan’s grandson, Ogedei, whose Mongul horsemen reached as far west as the Hungarian Plain. 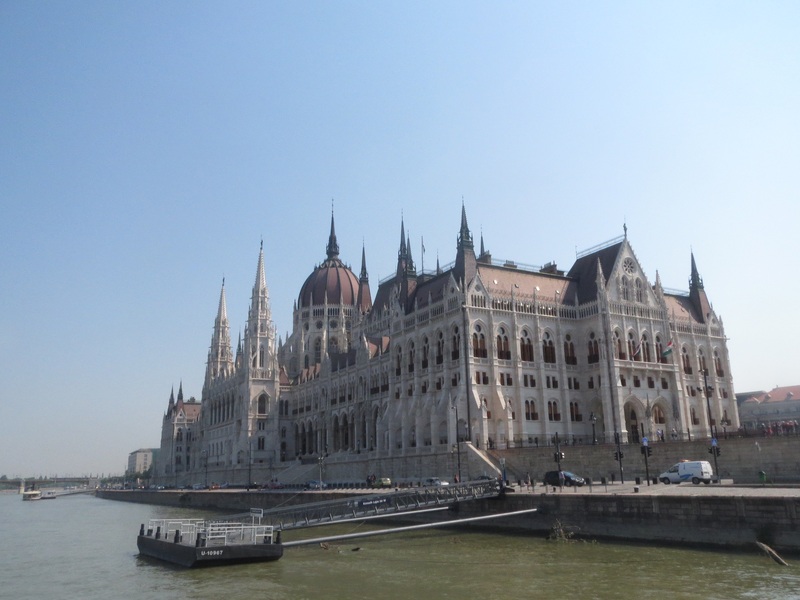 A fortress was built to defend the city, the Buda Castle where you can still practice the ancient art of archery. 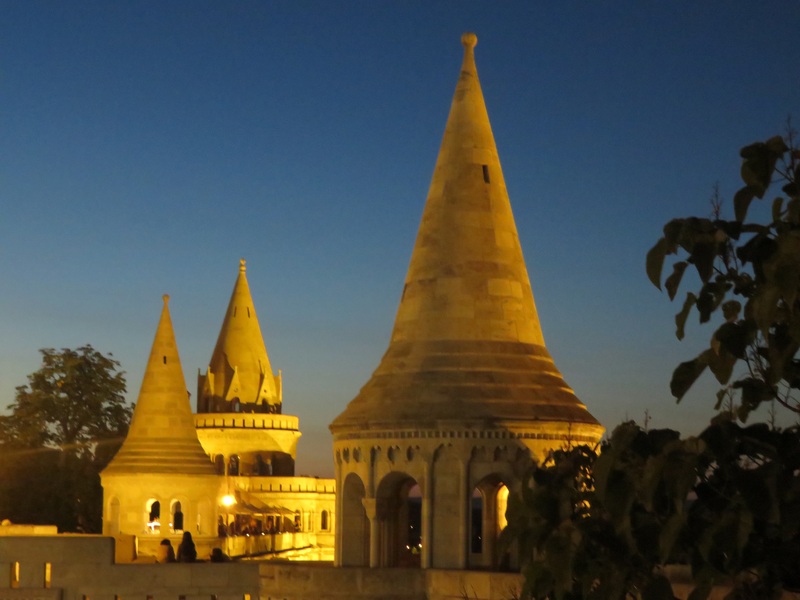 Along from the Castle is the legendary St Matthias Church and Square and through the stone archways of the Fisherman’s Bastion the famous view across the Duna River to the Parliament Building. 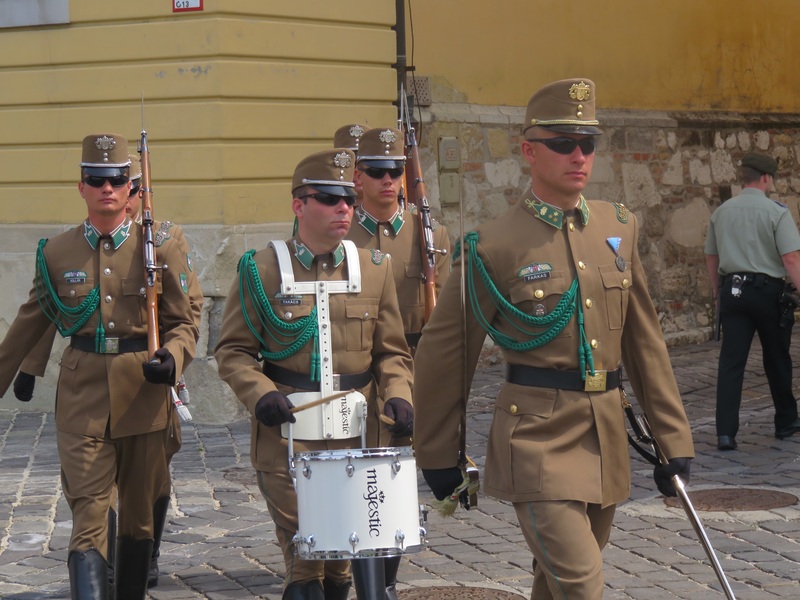 During the day we were there, we watched the Hungarian army change guard outside the Buda Palace, all incognito in their shades as hundreds of tourists took their photo. 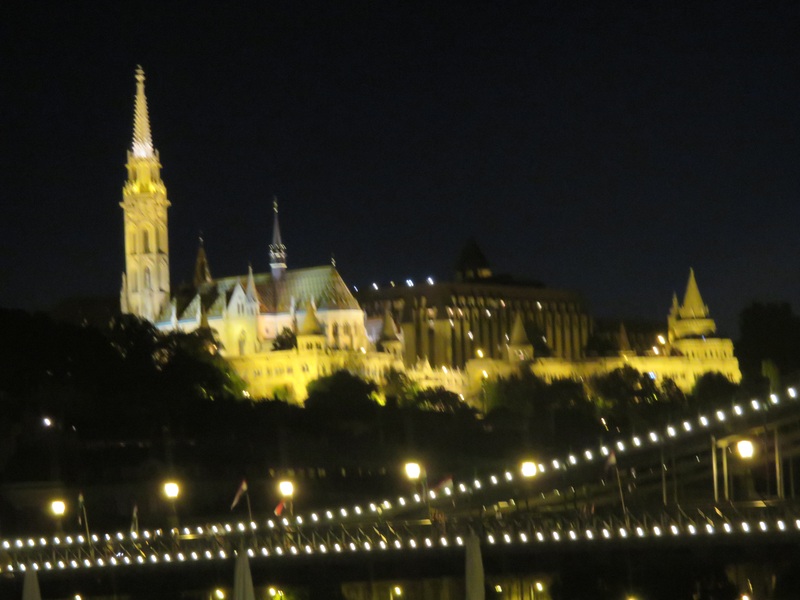 Our return at night to The Castle area and to the wonderful Abarados Restaurant for Fred’s pre birthday dinner was a much quieter affair, with views of the Budapest skyline, lit like fairyland. © Come Wandering, 2016-2017. Unauthorized use and/or duplication of this material without express and written permission from this site’s author and/or owner is strictly prohibited. Excerpts and links may be used, provided that full and clear credit is given to Rainbow Nomad and Come Wandering with appropriate and specific direction to the original content.